Automated P-Card audit. Greater card use. Get more from your purchase card program. You need to detect and prevent company card fraud, while maximizing use of P-Cards in your company. But using merchant category codes exclusions is a coarse, inexact control that is frustrating for cardholders. There is a better way. 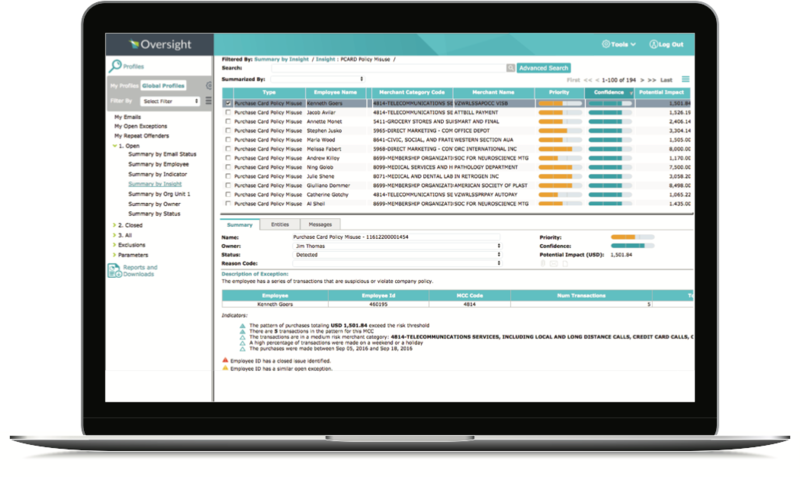 Oversight Insights On Demand automatically monitors 100% of your P-Card transactions to prevent non-compliant spending and minimize risk. What Answers are Hiding in Your P-Card Transaction Data? Visibility and control of your P-Card program. 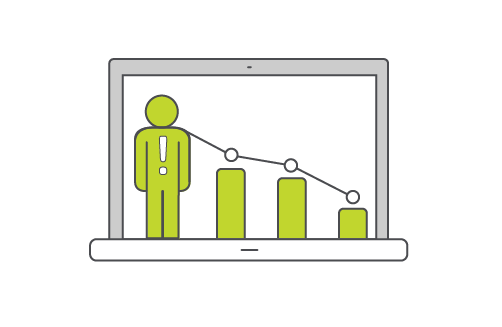 Your data is the key to pinpoint the strengths and weaknesses of your purchase card program and shape policy. 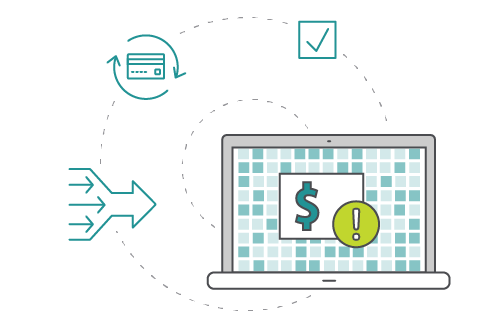 Understand cardholder behavior to increase compliance and produce cost savings. People behave differently when they know they are being watched. 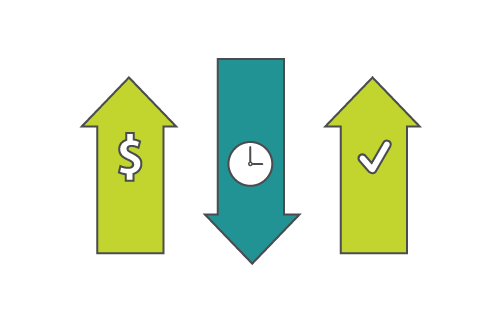 Continuous monitoring and analysis deters non-compliant spending. Resolve problematic P-Card spend faster. "Oversight’s solution was far better than anything we could have come up with on our own. It helped us navigate the process much better and more efficiently. And it also allowed us to track responses from employees and determine a resolution."